If I was an organised sort of person, I’d write these as I watch the movies, and then all I’d have to do is gather them together after, say, half a dozen films to make a post. But while my book shelves are all organised alphabetically by author, and chronologically within author, and I, er, pile my DVDs by director, and I have lists of pretty much everything, including lists of lists… I’m a bit crap at organising work. Because it’s work. Well, yes, it’s writing – reviews, fiction, blog posts, etc, but that’s still work, even if it’s not for money. At least it feels like work. That’s my excuse and I’m sticking to it. So there. Oklahoma! *, Fred Zinneman (1955, USA). Since I’ve been working my way through the 1001 Movies You Must See Before You Die list I have watched films I would never have even thought of bothering to watch… and enjoyed them and found them very good. But there are also those that were no more than ticking off an item on a list. Musicals are not films I normally bother to watch, although there are a few I really like. And yes, they’re from the 1950s (except for All That Jazz, from 1979, which I also like a lot; and Les demoiselles de Rochefort, from 1966 and, er, French). But Oklahoma! – a musical from the 1950s. It is also a Western. Although, to be honest, it didn’t really need to be, it could have been set in an inner city, given that it’s the old love triangle plot. With songs. The leads were likeable enough, the songs were mostly memorable, and Rod Steiger was impressively villainous. 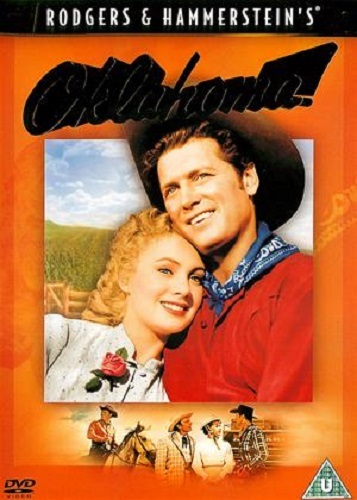 But it all felt a bit artificial (and I don’t mean the fact it was filmed in Arizona and not Oklahoma), and contrived. As the only film adaptation of the first musical written by Rodgers and Hammerstein, I understand the need to put it on the 1001 Movies You Must See Before You Die list, but I wouldn’t call it an especially notable example of the Hollywood musical. Tony Rome, Gordon Douglas (1967, USA). Sinatra and Douglas made three neo-noir films in the late 1960s, in two of which Sinatra played the title character of this movie. Not that Sinatra was ever much of a character actor. And in the three films his hair always seems a step or two behind him in the script (if it was a hair-piece, it was not a good one). In this movie, Rome is asked to take home a young woman who has passed out from drink in a hotel room, in order to prevent the hotel from any accusation of impropriety. When the young woman – who’s from a wealthy family, of course – wakes, she discovers a diamond pin is missing, and hires Rome to find it. Cue the sort of convoluted plot you only ever found in noir books and films. 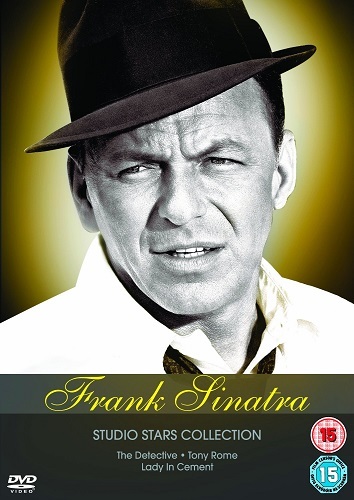 The movie scores well on ambience – it’s hard to imagine a more late-sixties USA film – although Sinatra plays his role with all the depth of a petri dish and the plot seems to think an overly-complex story counts for depth. Good for a lazy Sunday afternoon, but that’s about it. 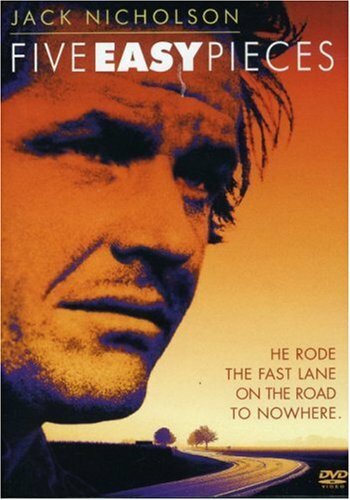 Five Easy Pieces*, Bob Rafelson (1970, USA). All this time and I’d thought Five Easy Pieces was some counter-culture film like Easy Rider, and I’ve no idea where I got that idea from (I hope it isn’t something as dumb as the fact they both have the word “easy” in their titles)… because, well, it isn’t. Not at all. Jack Nicholson plays a middle-class classical pianist slumming it as a wildcat oil worker after a falling out with his family. He even puts on the accent. He also has a girlfriend, a waitress, played by Karen Black. And a friend, who introduced him to wildcatting. But when said friend is arrested for a petrol station hold-up a year earlier, and Nicholson learns his father has suffered a stroke, he heads home, taking Black with him. The title refers to five pieces of music played by classical pianists, and which are heard during the film. Nicholson chews the scenery, as per usual, and the only real notable thing about the movie is the swap from working class to affluent middle class, and the all-too-obvious deduction that Nicholson’s character is play-acting in his working class life, which is hardly something to be celebrated. I’ve yet to actually work out the numbers but I’d guess that at least two or three out of every five films from the 1001 Movies You Must See Before You Die list have, to me, felt like they didn’t belong – and this is another of them. Meh. The Detective, Gordon Douglas (1968, USA). Unlike the other two films in this box set, this film is not a Tony Rome movie. But Sinatra does play, well, a detective. But not a private one, a police force one. In New York, not Miami. A man is found murdered in his apartment and his body mutilated. Various leads point to New York’s underground gay scene. Then a man commits suicide by jumping from the roof of a racetrack pavilion. And this somehow links back to the first murder, through some convoluted plot involving land sales by corrupt councillors. Sinatra’s investigation is enlivened by help from Jacqueline Bisset, wife of the suicide, who appears completely out-of-place. Compared to the two Tony Rome movies, this one is a bit grim and cheerless. The plot is just as daft as those, however, and Sinatra plays, well, Sinatra (with hair-piece); but this is more of a wet and miserable Sunday afternoon film. Apparently, a sequel was made many years later, and the makers were contractually obligated to offer the role to Sinatra. However, he was seventy years old, so he passed on it… and it went to Bruce Willis. The sequel was released under the title… Die Hard. 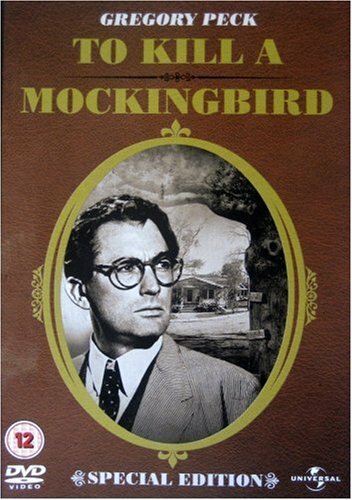 To Kill a Mockingbird*, Robert Mulligan (1962, USA). It’s been hard to avoid mention over the past year or so of the novel from which this film was adapted – first because of the “prequel” and the controversy surrounding its publication, and then because of the death of the author. I have actually somehow not managed to read the book for fifty years, or indeed see the movie. And I have now rectified the latter. And… really? Precocious kids, homespun philosophy, simple living a product of poverty not choice, and paternalism as a response to racism? Not to mention a muddled plot that can’t decide if its focus lies with the court case or with Boo Radley. True, this is a movie, not the novel, and perhaps the latter doesn’t seem so confused given that novels typically cover more ground. I’d always been under the impression To Kill a Mockingbird was about race relations in the US south, and that the court case formed the centre-piece of the story. But it isn’t. And it doesn’t. It’s just part of Scout’s childhood, and like many of the incidents, seems structured to teach her a life lesson. I wasn’t really sure what to expect from this film, but it was certainly something a lot more critical and insightful than this. Disappointing. The Bride of Glomdal, Carl Theodor Dreyer (1926, Norway). Dreyer started his movie career as a writer of intertitles for Nordisk Films. Six years later, he directed his first film, Præsidenten, a convoluted adaptation of an 1884 Austrian novel of the same title. 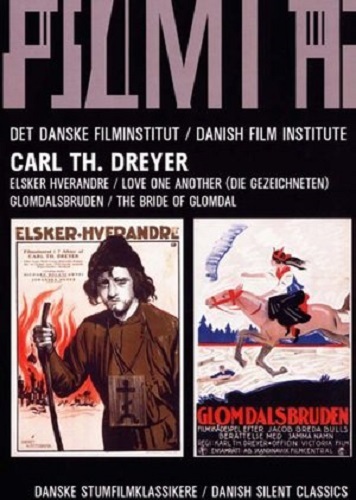 Glomsdalbruden (The Bride of Glomdal) was Dreyer’s eighth film, and the last he made before leaving Denmark for France, where he made The Passion of Joan of Arc. Despite the dour-sounding title, The Bride of Glomdal is a love story – poor man loves rich woman, woman’s father is against the match, etc. It was filmed in Norway, mostly outdoors, and the clarity of the picture is really quite astonishing given its age. There’s also an impressive sequence in which the hero is swept downriver and through some rapids. The plot is based on a pair of stories by Norwegian author Jacob Breda Bull – as far as I can determine, he has never been translated into English. Dreyer’s films are never less than fascinating, and if this one can’t compete with The Passion of Joan of Arc for emotional power, it still remains a superior silent movie. Categories: film review, films, moving pictures 2016 | Tags: bob rafelson, carl theodor dreyer, fred zinnemann, gordon douglas, robert mulligan | Permalink. These old movies are also good to watch according to my father. For me I don’t know if it’s good but I will try anyway!